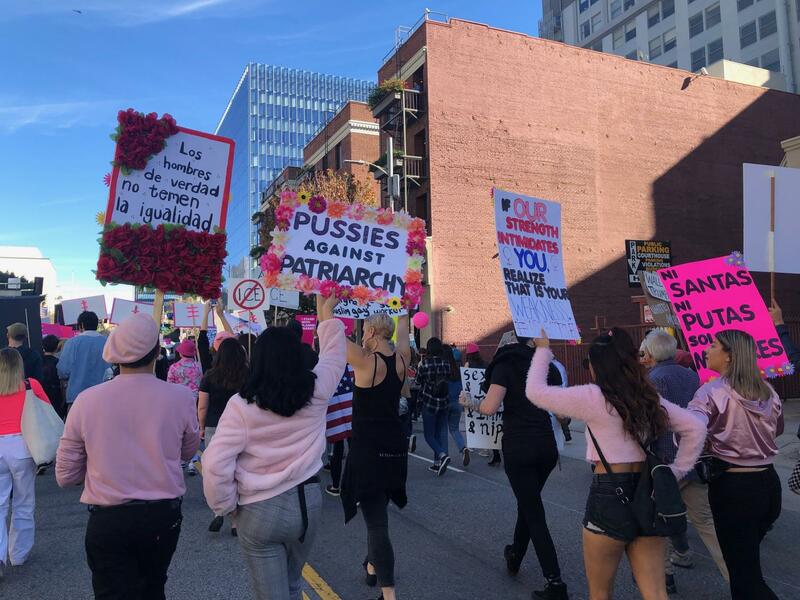 Protestors gathered at Pershing Square in Downtown Los Angeles to express their concerns over the issues women, and all minorities, face every day. They participated, dressed head-to-toe in pink and floral on Jan.19. The people of LA gathered on Jan. 19 in front of Los Angeles City Hall for the third annual Women’s March, where they expressed concern over relevant issues such as pro-choice, sexual misconduct, the current state of the government shutdown and even the LA Teacher’s Union Strike. This year’s “Truth to Power” march was kicked off in front of Pershing Square on 5th St. and Hill Ave. at about 10 a.m. Protesters, regardless of age, race or gender, were accompanied by officers on patrol, various merchants and a live drumline to keep them excited. The march did not receive much footfall compared to its previous years. 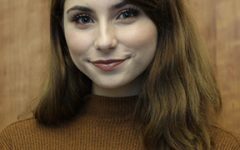 Celia Zeiger, 20, is an active member in the LA community and had actually participated in the first two Women’s Marches held in the city. For a first, Lush, as a brand, decided to make an appearance to show their enthusiasm and support for the women within the country and the issues they face every day. In addition, the people were also welcome to take stickers with the words “Flood the Streets” in bold. Lunabe Zamora, 20, was chosen to be the main point person on the ground, representing the brand as a whole in LA. The official rally started at noon in front of City Hall, where the people were then able to enjoy live entertainment and various speakers delivering messages of support to the women’s empowerment movement and all minorities until 3 p.m.